I know, I know, it’s not even Christmas yet and here I am about to talk about making New Year’s Goals! But the thing is, I’ve already talked about how to have a simple Christmas this year, and as Katie recently pointed out, she’s already covered just about everything you could think of regarding having a green Christmas celebration. Plus, chances are you’ve probably already made most of your plans, purchased and even wrapped most of your gifts, and there’s not much more I could say at this point that would change those plans. The fact is, you have to start thinking about New Year’s goals before Christmas if you really want to have them nailed down when January 1st rolls around. There’s only a week between Christmas and New Year’s, you know, and that’s not a lot of time for goal setting; at least if you’re anything like me and need time to mull over, evaluate, and talk through your ideas before you make a decision! Besides, I’d argue this is a pretty great time to start thinking about your plans and goals for the New Year. I mean you don’t have a lot going on, right? You’re having a simple Christmas, so of course you have an extra hour or two to devote to dreaming and planning for the upcoming year. Right?! Okay, while that’s definitely not the case for me, and probably not for you either, I know there are some mindless tasks we all will have to do over the next few weeks (washing dishes anyone?) where we can start thinking and planning for our New Year’s goals and resolutions, and I want to take this chance to encourage you to add some green and natural living goals to your list! 1. Cooking at home, from scratch is one of the best changes you can make both for your health and for the environment by avoiding pre-made, processed, and packaged foods. 2. Buying more of your foods in bulk is good for your wallet, decreased food packaging waste and helps you to have ingredients on hand that will allow you to easily cook from scratch. 3. Choose pastured meat and dairy, preferably organic or organically raised, when you can because they are better for the environment (less pesticides, antibiotics, and manure run-off) and much better for your health. 4. 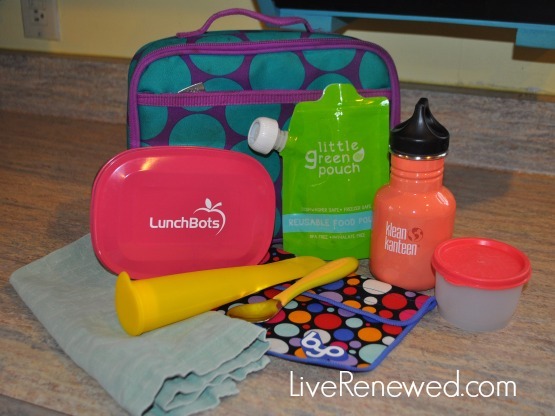 Pack a no waste lunch for your kids or yourself using your homemade items to help reduce the amount of waste your family creates. 5. Begin using basic essential oils, such as lemon oil, lavender oil, peppermint oil, and tea tree oil for health purposes and cleaning around your home. 6. Use home remedies such as homemade elderberry syrup, echinacea tintures, and cough and cold remedies before relying on over-the-counter or prescription medications. 7. Make sure the personal care products you and your family are using are safe by consulting the Cosmetic Safety Database. 8. Start making some of your own homemade personal care products like deodorant, face wash, lotion or body butter, and body wash.
9. 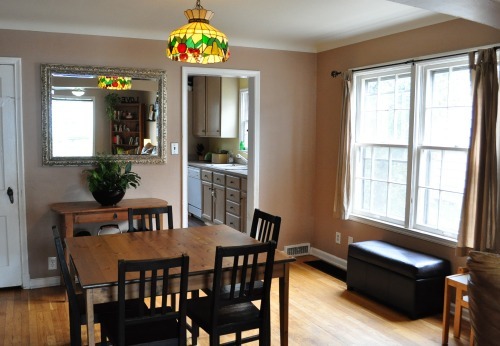 Work on decreasing the amount of waste your family generates next year. 10. Starting a compost pile is one way you can reduce your families waste by turning food scraps into rich organic matter for your yard or garden. 11. Use water and electricity efficiently by being mindful and conserving your energy and water use around your home whenever possible. 12. Chose one area to reduce toxins in your home, researching harmful products removing them from your home and replacing them with safer alternatives. If you’re relatively new to green and natural living, or you’d like to have all the information you need to move forward on your green journey in one place, then my new ebook Green Your Life: A Guide to Natural, Eco-Friendly Living is perfect for you! It’s a 250+ page guide that walks you through taking simple steps and making small changes in 5 main areas of your lifestyle to lead you on the road to a more eco-friendly life. As an added bonus, when you purchase Green Your Life this month, I’ll offering a free membership to my upcoming Green Your Life Challenge that will be held in January. You can find out more details about the eBook and the Challenge here! I would love to have you join me! When do you start planning your New Year’s Goals? 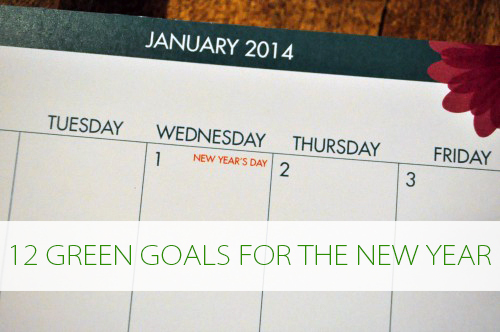 What green and natural living goals will be on your list for 2014? Emily McClements is passionate about caring for God’s creation while saving money at the same time. She is a blessed wife and mama to two young children, and blogs about her family’s journey toward natural and simple living at Live Renewed.